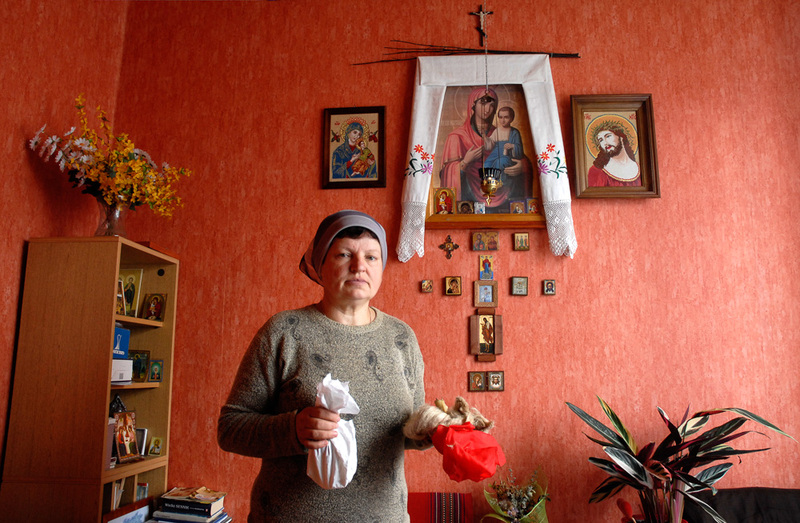 Near Poland’s border with Belarus, the peculiar folk craft of ‘whispering’ or healing with prayers of Orthodox provenance, is still being practiced. It’s usually accompanied by bizarre rituals like pouring hot wax into cold water or burning flax fibre. Culture.pl takes a look at the intricacies of this phenomenon, its roots and whether it has anything in common with the science of medicine. An elderly lady is wearing clothes that wouldn’t seem out of place in a peasant scene from a late 19th-century painting. She’s holding her hand over the head of a young woman as she utters a strange chant, one that’s hard to understand. Yet one can discern that she mentions the ‘Son of God’ at a certain moment and there’s no doubt whom she’s referring to when one notices the pictures of Jesus spread about her humble country cottage. A little later she pours hot wax into a pot of cold water and presents the solidified contents, stating that getting rid of them will ease her guest’s problems. 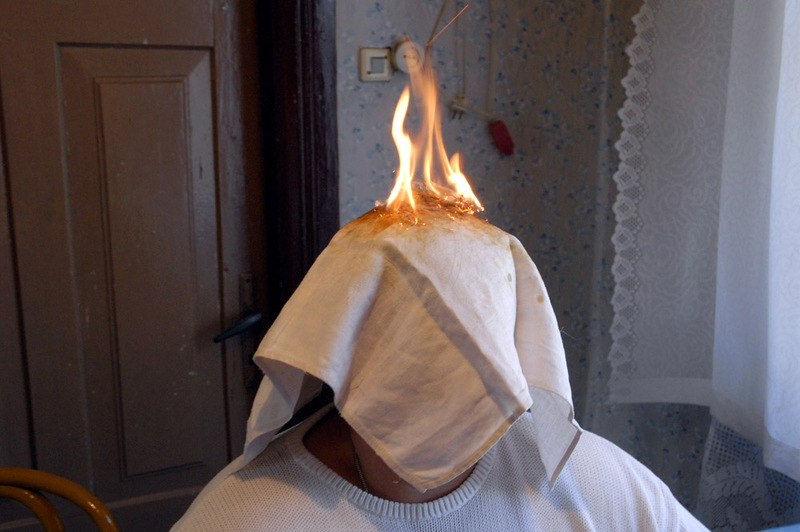 Then the elder puts a piece of cloth on the young woman’s head and burns a small amount of raw flax fibre on top of it – a procedure that’s equally spectacular as it is risk-free. Shortly afterwards, she says she’s done and wishes her guest good health. The above isn’t an episode taken from some oneiric fantasy story. It actually happened, as documented in a film clip entitled Szeptunka z Podlasia (editor’s translation: The Whisperer from Podlasie). 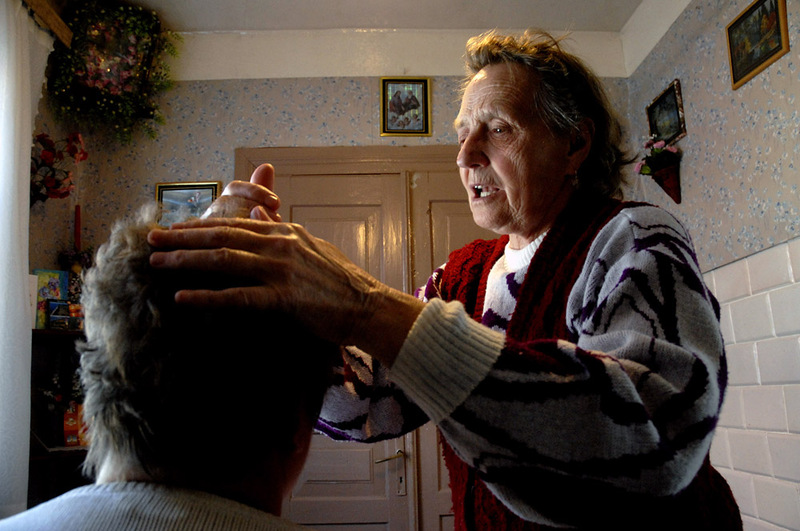 Filmed just a few years back by Paweł Kołaczkowski and Kaja Palusińska, this healing séance performed by the now-deceased Paraskiewa Artemiuk, a whisperer or folk healer who lived in Poland’s eastern region of Podlasie, is surprisingly an event from the 21st century. 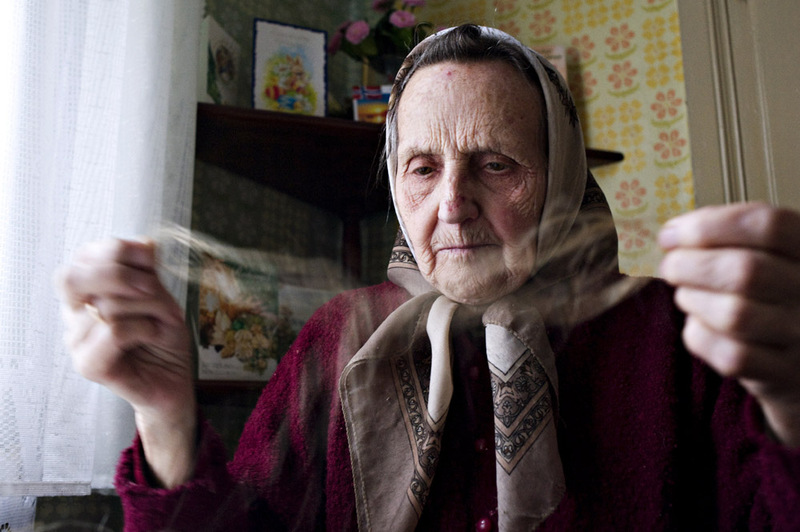 Szeptucha (pronounced: Shep-too-hah) or sometimes szeptunka, which translates as ‘whisperer’ or ‘one who whispers’, is a term used to describe traditional Polish woman-healers practising predominantly in Podlasie, and less notedly in other parts of the country, e.g. Roztocze and Podkarpacie. 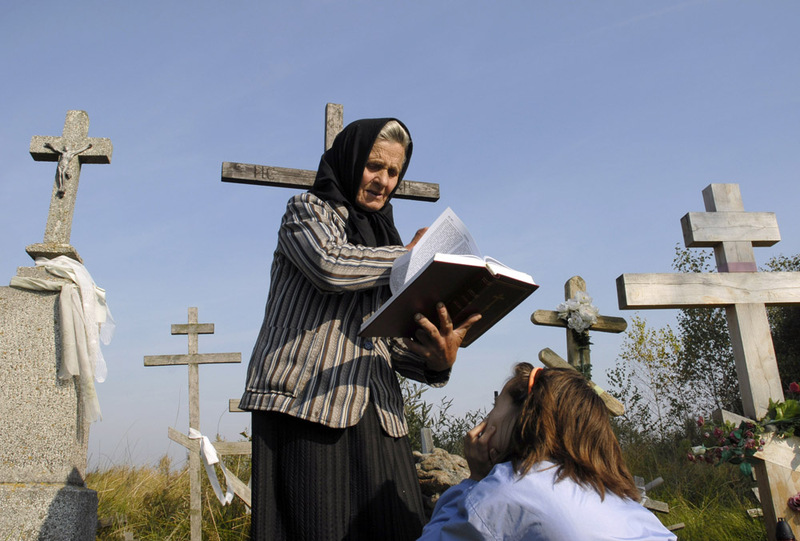 Their story is closely linked to Poland’s eastern frontier, an area influenced by the mysticism of Orthodox Christianity and, in its central part, by the Belarusian language. It is believed that the ability to heal through whispering is a gift from God, a gift whose origin can be traced all the way back to Jesus, himself a healer who used words. But even though the whisperers are devout Orthodox believers, they do have pre-Christian folk chants in their medicinal repertoire. Moreover, they perform bizarre ceremonial actions during their séances, like the already-mentioned burning of flax and pouring of wax into water. Among the practice’s classic therapies, you can also find rubbing an ill body with a glass filled with wood ashes and neatly wrapped in a napkin. Due to these near-pagan rituals, the Orthodox Church doesn’t approve of whispering, but not in a particularly stringent manner: for example, a prominent whisperer is known to have been admitted to a church choir. When He entered Capernaum a centurion came to Him, pleading with Him, ‘Lord, my servant is lying at home paralysed, in terrible agony!’ ‘I will come and heal him,’ He told him. ‘Lord’ the centurion replied, ‘I am not worthy to have You come under my roof. But only say the word, and my servant will be cured (…)’. Hearing this, Jesus was amazed and said to those following Him, ‘I assure you: I have not found anyone in Israel with so great a faith! (…) Then Jesus told the centurion, ‘Go. As you have believed, let it be done for you.’ And his servant was cured that very moment. This excerpt from the Gospel of Matthew points to two things that are crucial to the whisperers: the Christian roots of healing with words, and the key aspect played by faith. The treatment stems from these. The whisperers believe that God gives more attention to their prayers than to those of others and that they are merely channelling divine healing powers coming from up above. It is their view that to use this gift efficiently, their faith has to be rock strong, much like the faith from the above quote. Also, the patient or at least a member of their family should have some sort of faith for the therapy to work. But it doesn’t necessarily have to be an Orthodox belief. Any Christian faith will do – in this respect, the whisperers’ approach is rather ecumenical. But even though the whisperers’ faith is profound, it has its limitations. They believe that their prayers and rituals can treat only a handful of illnesses. For example, the full paralysis described in the biblical quotation, and other serious conditions, is out of their reach. Also, the sicknesses the whisperers might heal aren’t of the kind you’d encounter in a proper medical encyclopaedia. They’re what you call ‘folk illnesses’, and official medicine doesn’t even recognise them. That being said, during their séances, some whisperers are occasionally said to chant for the curing of, so to say, official illnesses, such as allergies. This complex conviction encompasses traditional folk psychology modernised by the whisperers. (…) I’ve portrayed the plait – a folk illness that’s caused by the activation of an idle being existing within the human body. Historically, that being was called a ‘gościec’ [ed: guestlin]. Today the whisperers relate the disease-causing mechanism of irritation to nervousness, anxiety. The syndromes of this strange condition are said to include insomnia, abdominal pains and a general weakness of the body. Even if these descriptions don’t seem convincing from a medical standpoint, one should remember that the whisperers intention is to bring good into the world. They believe their gift is an obligation – since they’ve received it gratis from up above, they should share it with others here on Earth free of charge too. They haven’t invented all of this as a scam to obtain money. In fact, a whisperer might even feel offended if you offered her payment for her services. Customarily, people leave something sweet on the table in the visiting room, or a coin, which will without doubt be spent at the local Orthodox Church to purchase a candle. People from all around Poland come to the whisperers for help. There’s no shortage of patients, mostly those who can’t find a solution to their problem through official healthcare. You don’t visit a whisperer, for instance, with a twisted ankle – even if you did, they’d just tell you to go to a regular doctor instead. When a whisperer sees she can’t be of help, she doesn’t hesitate to say so. Most of the problems the whisperers deal with are actually of a psychological nature. When you come to think of it, fright, charm and nerve-plait are very similar in meaning to things like anxiety, nervousness or stress disorder. It seems that folk treatment of these issues may be beneficial in some cases. Even if just a placebo, they help make immaterial problems palpable. Say you’re feeling nervous and can’t sleep at night? Let’s get rid of that, just like we get rid of the chunk of solidified wax, an embodiment of the issue. Flax is a common and therefore familiar plant in the region. Moreover, it has properties that allow it to combust and drift in the air, and it therefore can symbolise burning and blowing out a malady. Also, it resembles human hair; there are very old folk beliefs connected with tangles, according to which humans have within them diverse sicknesses and sometimes these sicknesses surface in the form of matted hair (…). And so flax may symbolise tangled hair, which we can remove in the ritual. In some cases you can also receive accompanying ‘medicines’: bread, poppy seeds or water that has been prayed over by the healer. Nowadays however, the number of people you can turn to for this kind of help is decreasing. 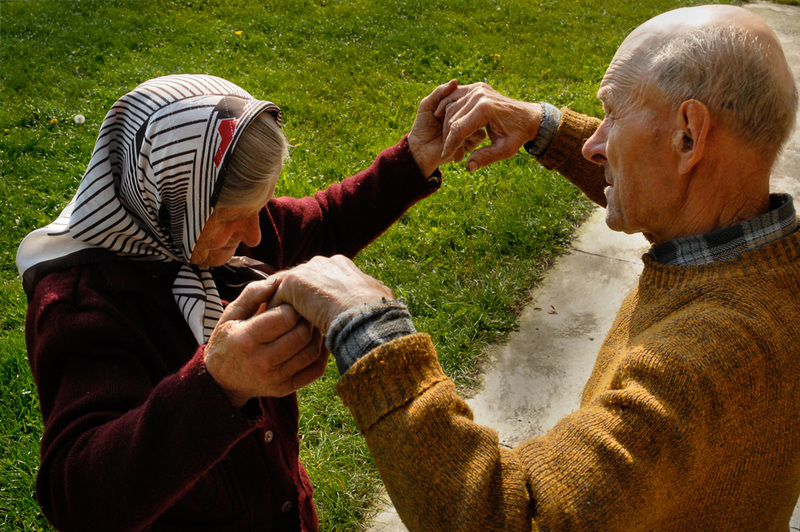 There are only about a dozen or so whisperers left in the villages of Podlasie, and nearly all of them are of advanced age. 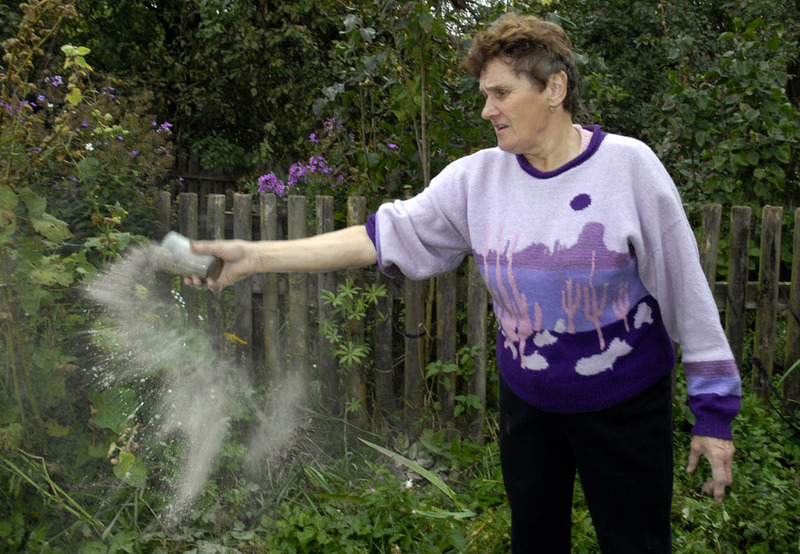 The previously-mentioned Mrs. Paraskiewa Artemiuk has passed away since the filming of Szeptunka z Podlasia. The elderly Mrs. Wala, possibly the most famous whisperer of all, is said to have passed on her practice to her nephew (men whisperers are rarer than female ones, but some consider them more powerful). She’s lucky to have found someone interested in continuing her work. The intricacies of whispering, the texts of the various prayers, the lore explaining which of them apply to which illnesses, all of that has been passed on by many generations, but now there’s hardly any interest among the young people of Podlasie to keep up the tradition. Jobs that provide a steady pay are preferred. Inevitably, the practice of whispering is fading. Also, the whisperers’ primary mission has become obsolete. They used to provide local healthcare to their communities in times when many of their members couldn’t afford a doctor. Today, it’s much easier to get regular medical care than in the old days, so people often choose it over going to a folk healer. The demise of whispering is something that quite a few people applaud. Especially those that see this craft as a ‘superstition’ or ‘mumbo-jumbo’ due to its having little or nothing to do with the science of medicine. Some even find it hard to believe that such peculiar practices as whispering take place in today’s Central Europe. Indeed, the story is quite extraordinary and if it were nothing more than that – a story – there wouldn’t be a problem. But the séances and rituals discussed here really do take place and therefore affect real people. In the case of whispering, like with many alternative therapies, the line between providing help and causing harm is a thin one. Sure, receiving enchanted bread or being prayed over won’t cause you any problems, but things get a little disturbing when one finds out that there’s a special whisperer’s chant for cancer out there. A psychotherapist isn’t there to give advice. But when I hear that somewhere near the city of Białystok there’s this whisperer that treats cancer, I say: you’ll do as you please, but I’m against substituting chemotherapy with the doings of a healer, I ask where did an idea like that even come from. 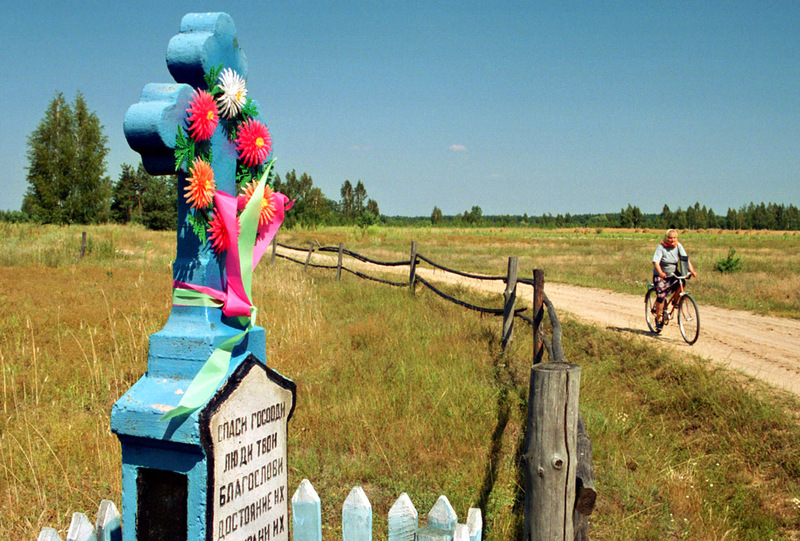 There’s also the notorious story of an Orthodox priest that died in a car accident in the Podlasie countryside after trying to avoid a collision with a toilet standing on a crossroads. Yes, a toilet. In 2011, the police discontinued their investigation of this tragic event and nobody was convicted of causing it, but locals have always claimed that it was one of their own who had put the thing on the road. The culprit is said to have done it following advice from a whisperer. If that’s the case, then the tragedy was probably the result of a superstition linked to feuds. Placing a thing that belongs to an antagonist of yours on a crossroads is considered a means of avoiding an evil charm cast by them. Like with any other group, there are sensible whisperers and ones that exhibit a deficit of sense. If one of them indeed gave the advice to place the toilet on a crossroads then he or she definitely must’ve been of the latter kind. Also, there are, so to say, phony whisperers out there, ones that simply want to turn a profit. These can be easily identified because they charge for their services, sometimes quite heavily – a true whisperer would never do that. All in all, it seems that the benefits of whispering outweigh its downsides. It’s hard to find reports of it causing serious harm apart from the tragic car accident mentioned above. On the other hand, it’s very easy to encounter stories about it being helpful. The consolation a whisperer provides is mostly of a humanist character. The healer devotes their full attention to the visitor, treats them like a person. Where there is little hope left, they conjure it up, giving an incentive to keep on fighting. Unfortunately this kind of approach isn’t always exhibited by official medical workers, who are often too overworked or numbed by their job to be concerned with their patients’ emotions. Even though the time of whispering practices seems to be nearing its end, the cultural interest in it seems to be greater than ever before. A decade or so ago the topic was a rather obscure one, whereas nowadays it’s become quite mainstream. Apart from the aforementioned documentary short and other films about the healers, recent years have also seen the appearance of an alternate-history novel by Katarzyna Berenika Miszczuk entitled Szeptucha, where one of the key characters is a modern-day whisperer. Additionally, earlier this year the interdisciplinary festival SlowFest including theatrical, music, film and literary events was held in the town of Supraśl in the Podlasie region – one of its fixtures was a series of lectures on whisperers given by the above-quoted Małgorzata Anna Charyton. while at it she would pray quietly.